Women's weeklies have declined in circulation once again with an 8.4% year-on-year drop over the first half of 2016, according to ABC. The biggest fallers were Bauer Media’s Heat which dropped circulation by 22.3% to 144,074, and Time Inc’s Now which had a 21.8% decline to 109,661. OK!, the Northern & Shell title, dropped 11.8% year on year, and 36% period on period, to 176,386, and 160,951 actively purchased. The publisher increased its use of heavily discounted magazines or those used in multi-packs over the second half of 2015. Its rival Hello! which is published independently had circulation decline 3.1% to 253,253, with 197,913 actively purchased. Among the monthly titles, Hearst Magazines UK once again gave away more than 100,000 copies of Cosmopolitan which boosted year-on-year circulation by 59.9% and 1.9% compared with the second half of 2016. The title has total circulation of 413,155, however 303,584 were actively purchased. This equates to a quarter of the Cosmopolitan issues in "bulk" shares. Hearst changed its distribution strategy to push sales by taking the title, among others, to places where its target audience is, for example shopping centres, cinemas and airports. Sister title Good Housekeeping had a 10.1% uplift with 444,941 copies, and 370,506 actively purchased. 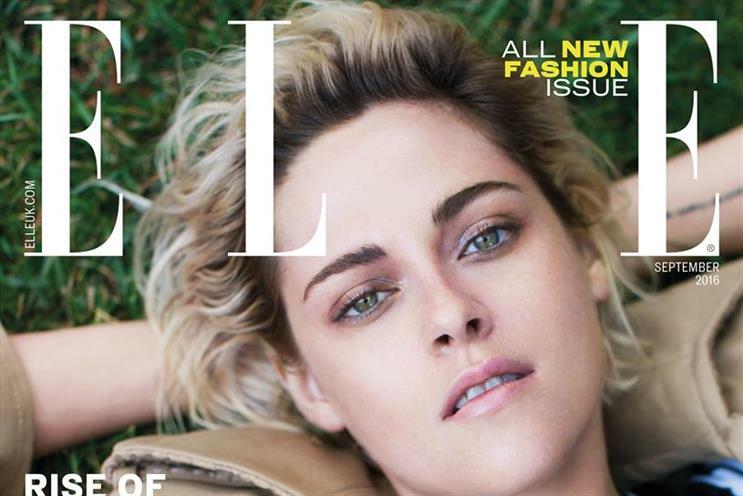 Elle, which was relaunched last month, was up by 4.7% to 171,874, with 99,155 actively purchased. Rival publisher Conde Nast's Glamour reported an 18.9% decrease in circulation for the first six months of the year to 300,063, and 269,074 actively purchased. Vogue, also a Conde Nast title, also dropped 2.5% to 195,053, and 135,815 actively purchased.